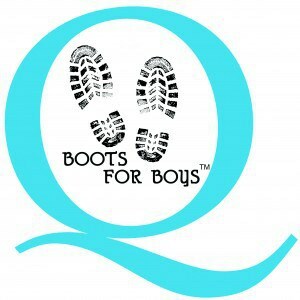 Home » Past Community Involvement and Projects » Boots for Boys tm – Now a calendar to raise more funds! Our 2018 Calendar is at the printers. 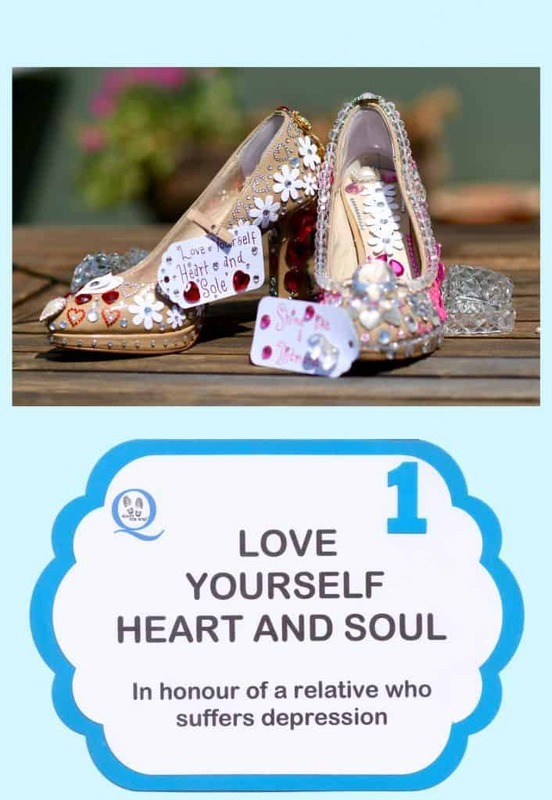 With a selection of photos from the 59 entries & stories to match, this calendar is a great way to remind ourselves that there are too many people out there with mental issues. You can get your copy by emailing: diane@parkersplace.com.au $15.00 each with all profits going to the White Cloud Foundation. 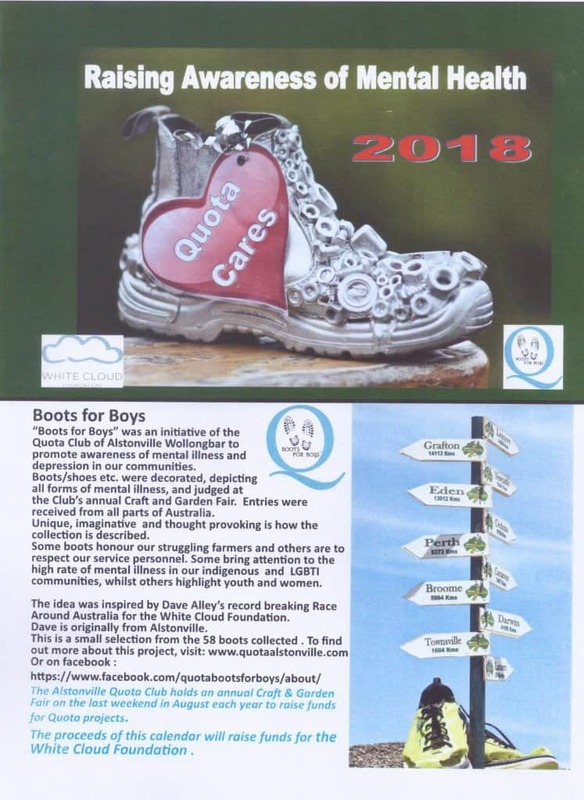 After seeing and hearing local identity David Alley (who comes from Alstonville) talk about the White Cloud Foundation we decided on a project that would assist young men with depression and suicide risk. 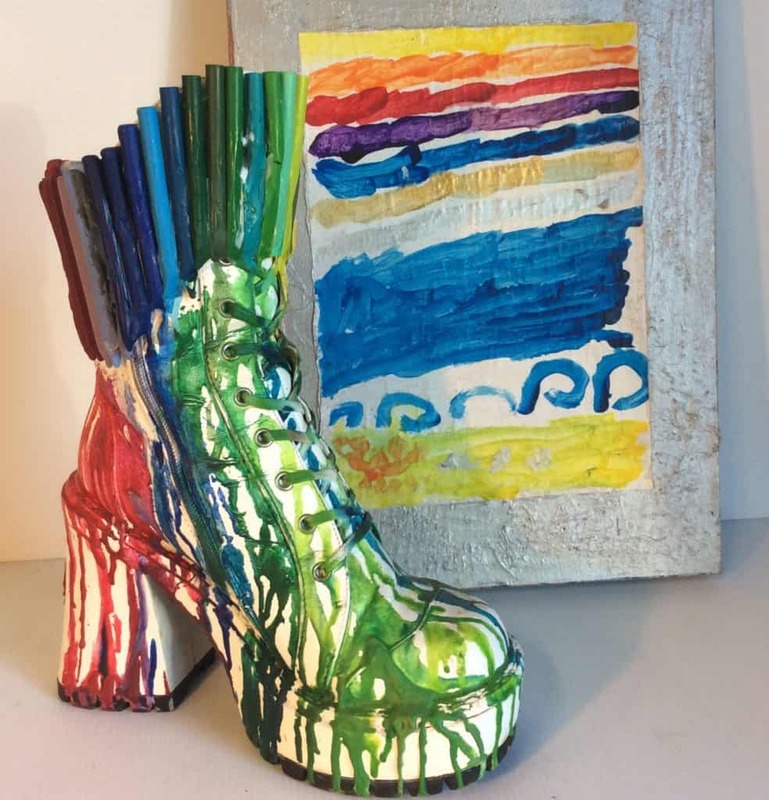 The seed for this project started when a member was visiting a friend in Wisconsin and saw two boots artistically painted.